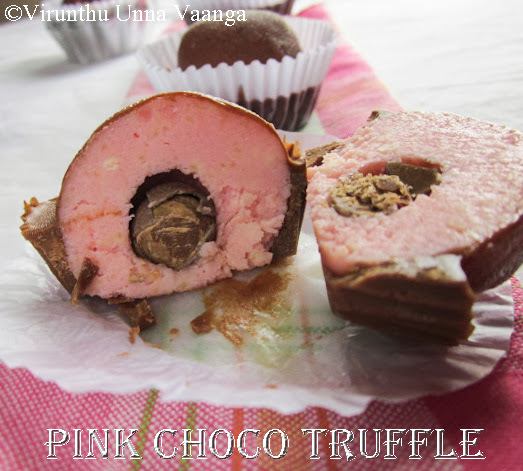 VIRUNTHU UNNA VAANGA: PINK CHOCO TRUFFLE - A VIRTUAL BIRTHDAY TREAT FOR MY DEAR SISTER NATHIYA!!! 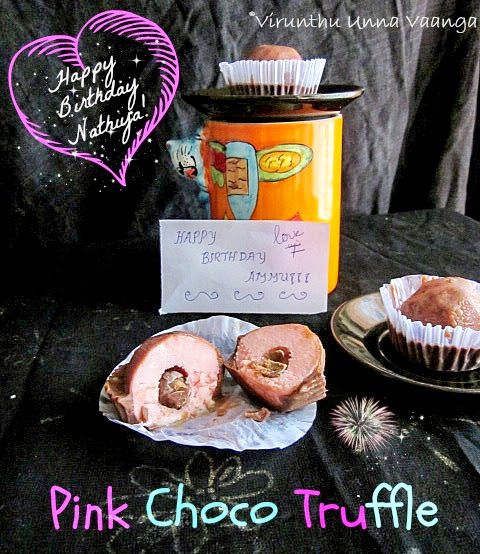 PINK CHOCO TRUFFLE - A VIRTUAL BIRTHDAY TREAT FOR MY DEAR SISTER NATHIYA!!! 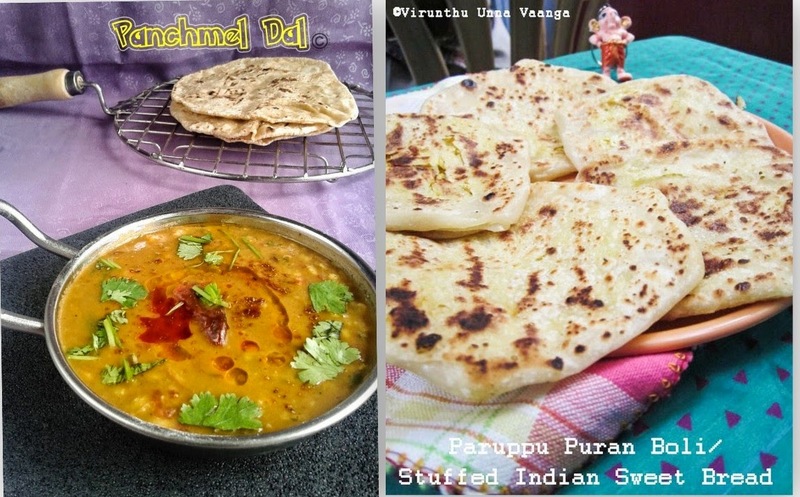 Hello dear friends, am really very happy and proud to post today’s recipe for my one n only soul friend as sister Nathiya… Some of my FB chat friends knew her that I already told about Nathi. Today she is celebrating her birthday. Everybody has a favorite person. but you will know that I love you. that you are to me. I will always love you for this, my dearest sister. She is my extremely close and best friend sister. She is very determined, loving, caring and straight forward and naughty girl. We had really very good times during our hostel life and those days are golden periods. Really miss those lives with her. When I feel down she is the first person to give energy and clear way that what to do. N when I am happy, it will be double while I sharing with her. She taught me many things both in my studies and life, still am learning from her a lot… Thank god to give such a treasure sister, I can proudly say that am blessed to have her as my soul sister! Yet, I stuck with words to describe our bond, speechless! Coming to the recipe selection, she loves chocolate and milk sweets a lot. 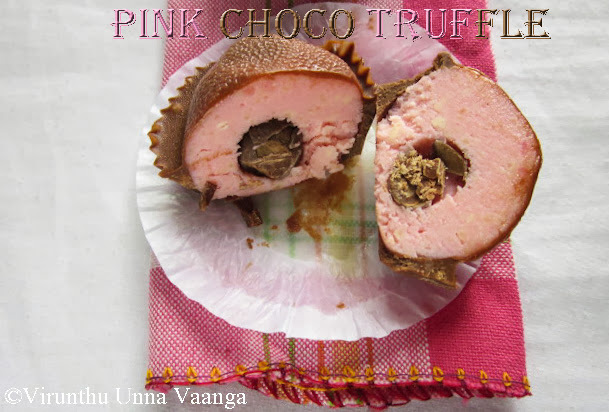 So I want to give her surprise treat with her favorites and I wish to make unique dessert for her and I searched and discuss with my blogger friends too, finally I had an idea that I already noted this recipe few months ago, when am new to the blogosphere somehow I missed the source of the site, I tried but couldn't get it. But I altered according to our favorites. 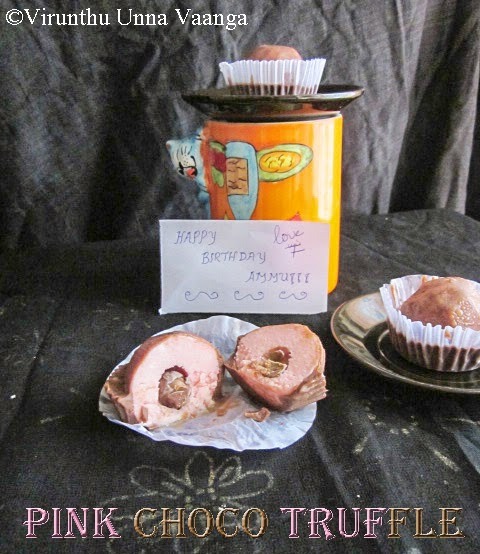 The recipe is super apt for her to give the b’day treat and am here to post the recipe. Take wide bowls add the paneer following by milk powder, powder sugar and rose essence, knead it well and keep it aside. 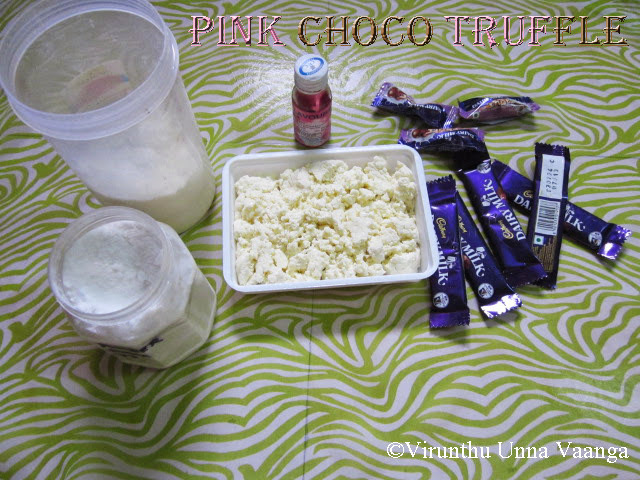 Now will make the choco ganache, broken the dairy milk into small pieces (helps to even melting) and put the pieces in the MW proof bowl. 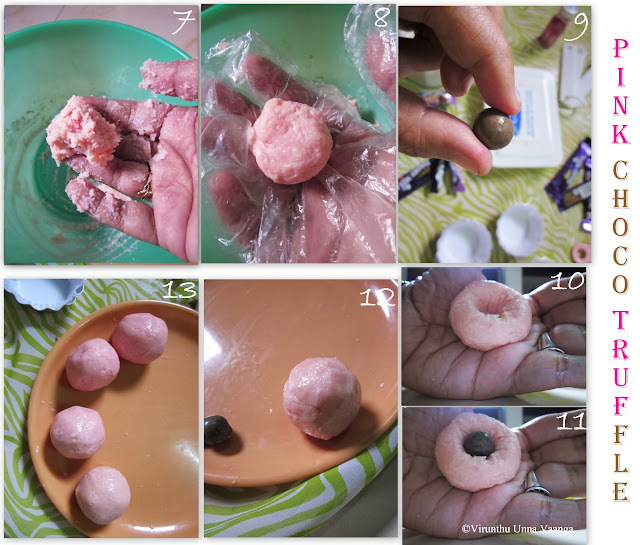 Pinch equal size paneer mixture and make small balls and stuffed with dairy milk shot as shown in the picture. Now the balls are ready. 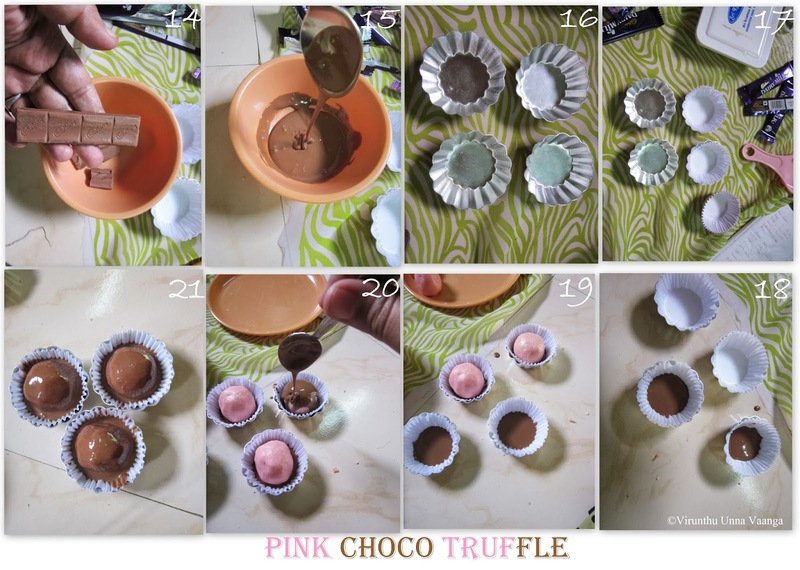 Melt the chocolates in MW oven 50% of power for 30 seconds, (It may change depending upon your MW temperature). The ganache will be in flowing consistency if you melt more time it will change to crumble texture. 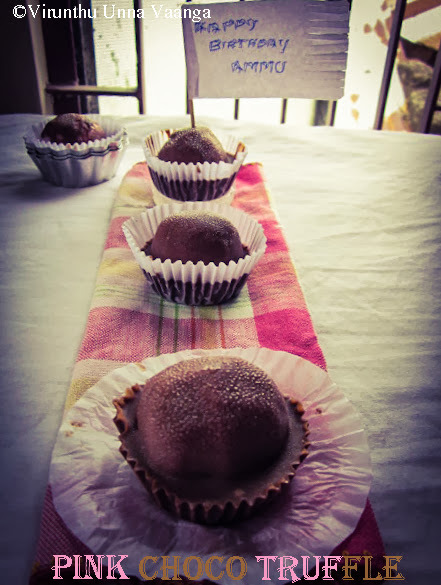 Now place the muffin liners in the muffin cup or you can use candy mold if you have. 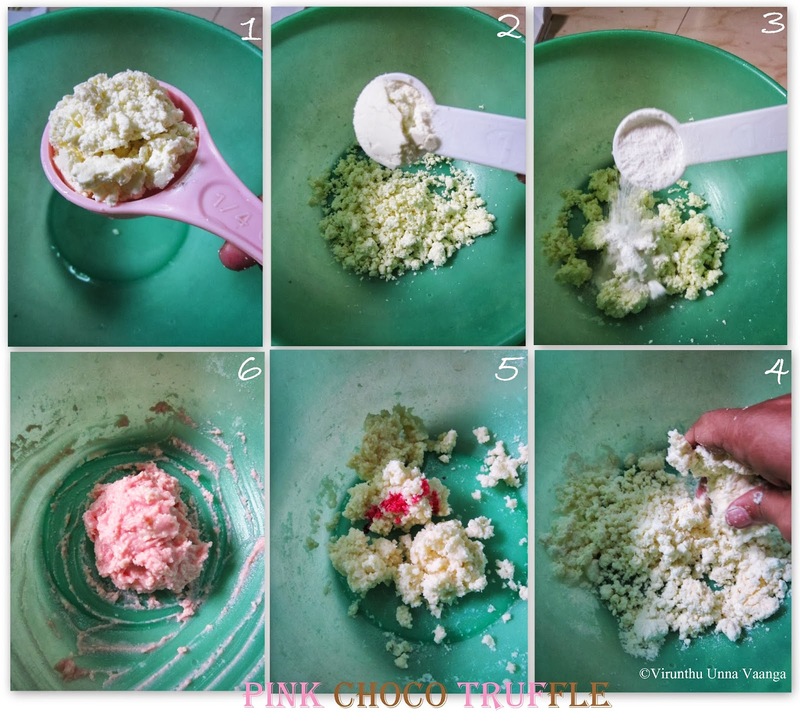 Add 1 Tsp of ganache to the muffin liners as shown in the picture, and then keep the paneer ball to the all muffin liners. Then add ganache over the ball, fill the muffin liners to the half (but you can fill it at the end of muffin liners) and make sure the chocolate fully covers the ball and keep it as it is for 10 minutes. Now keep it in freezer or refrigeration for 3-4 hours to set the chocolate. After well set, carefully remove the muffin layers from it and enjoy every bite. You can replace dairy milk shots with your choice of nuts. Likewise change the essence of your favorite. Use fresh paneer for best result. The paneer mixture will be sticky, grease your hand with oil or butter and shape it. 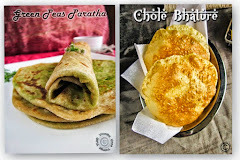 TAKE A VIRTUAL BITE Ammu!!! 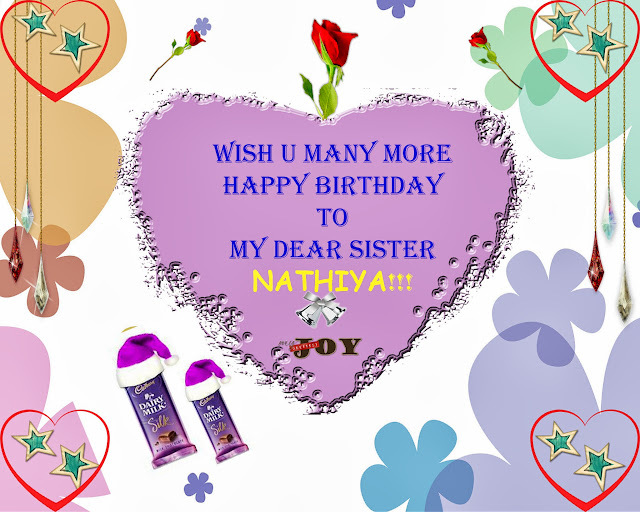 Wow, that superb delicious and my birthday wishes to nathiya! good to know ur friends :) wishing her a warm bday and wish for all good things inher life ! 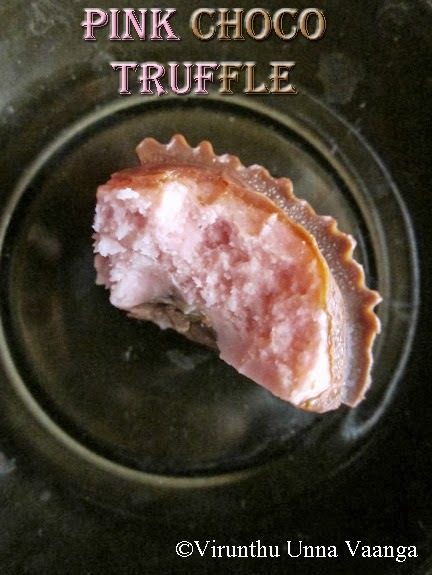 truffle looks amazing ! Omg, Nathiya is very lucky to get a friend like u dear Viji, wat an amazing and gorgeous looks truffles, convery my wishes to her. 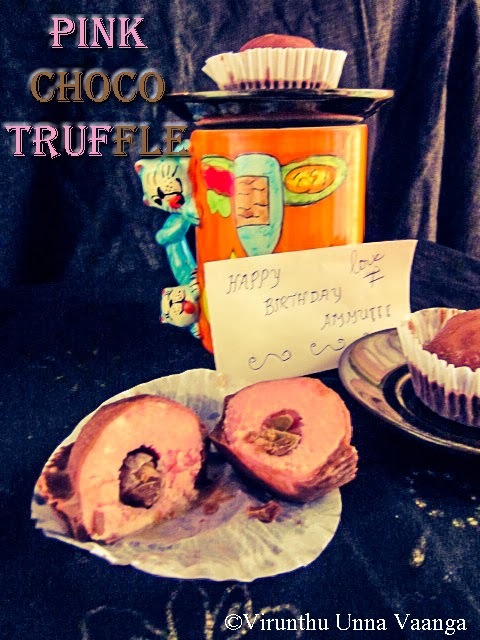 truffles look delicious and a perfect treat for a Birthday celebration.She is so lucky to have a friend/sister like you....Happy belated birthday wishes to her! 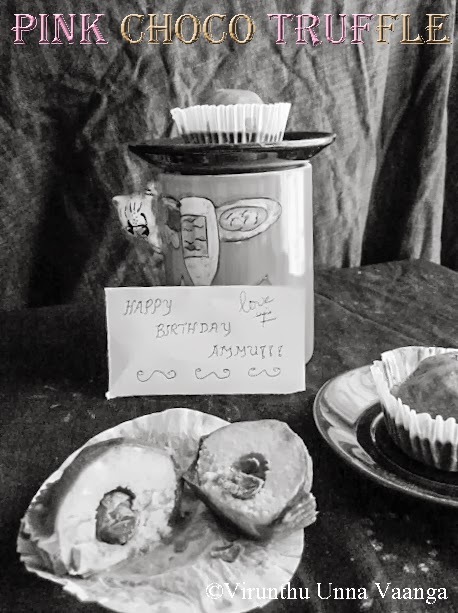 AMAZING CLIKS N WONDERFUL TREAT 2 UR SIS..SORRY..OUR SISTER..CONVEY MY BIRTHDAY WISHES 2 HER DEAR...TURNING LIKE ANOTHER PIONEER WOMAN HA..NICE DEAR. Happy birthday to your soul sister. 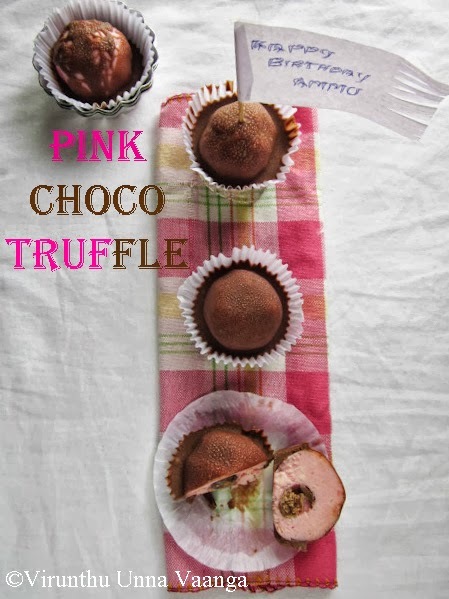 Pink choco truffle looks delicious very nice. 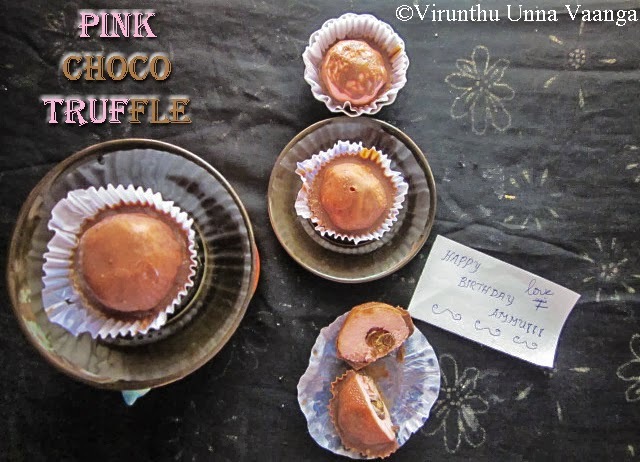 Lovely pink choco truffles..delicious and perfect for kids...thanks for linking with us!